Cognitive disorders like Dementia, Parkinson’s and Alzheimer’s disease have become a growing concern to the American society. With one American developing Alzheimer’s disease every 69 seconds (according to Alzheimer's Disease Facts and Figures), there’s certainly a big reason to get worried. In fact, the rate is expected to jump to one person every 33 seconds by 2050. ● It develops gradually into an ongoing chronic condition (usually over the course of decades). ● Prevention is paramount when it comes to dealing with the condition. It helps slow down progression and improve the overall quality of life. Prevention typically includes a combination of therapeutic treatments and lifestyle changes. ● Alzheimer’s disease can affect all people, but it is more prevalent in certain groups, most notable senior adults older than 65, and those with a family history of the disease. ● Although often used interchangeably, dementia and Alzheimer’s are not the same thing. In fact, Alzheimer’s is a form of dementia (a condition that affects cognitive functions, memory recall, and therefore causes memory loss). ● The primary risk factors for Alzheimer’s disease include but not limited to big 3: aging, genetics, and family history. ● The condition comes with a set of symptoms that include adverse memory loss, inability to keep appointments, problem-solving difficulties, reduced judgment, trouble with writing/speech, negligence of personal hygiene, mood changes, and distancing oneself from community, family, and friends. No matter how you look at it, Alzheimer’s is a terrible disease that’s poised to make an insurmountable impact on many Americans, especially if nothing is done in the medical arena. If you or your loved one is struggling with Alzheimer’s disease, we have some great news for you: Astaxanthin can help. A powerful antioxidant found aplenty in nature, Astaxanthin has shown promising signs of accelerating treatment of the Alzheimer’s disease! This article looks to quickly introduce you to the world of Astaxanthin in Alzheimer’s treatment. We’ll cover what it is, and how Astaxanthin can help with Alzheimer's disease, as well as touch a little on other wonderful benefits of the antioxidant. Astaxanthin is a natural pigment and a powerful antioxidant that belongs to a class of compounds called carotenoids. These are any class of primarily yellow, red or orange fat-soluble pigments which are found in abundance in some algae and plants. They, in turn, fall under the category of fat-soluble terpenes, a group of phytochemicals that have been researched since the 1800s. Astaxanthin is the same pigment that makes birds like flamingos appear pink, owing to the fact that they consume Astaxanthin-rich crustaceans and algae. How Does Astaxanthin Help with Alzheimer’s Disease? Several studies have shown that build-up of phospholipid hydroperoxides (PLOOH) in the red blood cells is one of the leading risk factors that contribute to the development of Alzheimer’s disease. Coincidentally, Astaxanthin is an incredible antioxidant that can help reduce the accumulation of PLOOH and therefore help prevent cognitive disorders like Alzheimer’s, Parkinson’s and dementia. Usually called the “the king of carotenoids,” Astaxanthin is not only powerful as an antioxidant but it also doesn’t revert back to pro-oxidant. What this means is that Astaxanthin is a permanent fix for harmful oxidation, something which can do wonders for those at greatest risk of Alzheimer's. But that isn’t all there is to Astaxanthin in the fight against Alzheimer’s. As a lipid-soluble antioxidant, this robust pigment as an ability to cross your brain-blood barrier, effectively helping prevent neurodegeneration often associated with harmful oxidation. As a nutrient, Astaxanthin also has a potential to nourish the brain, and neutralize oxidative agents & free radicals without getting destroyed in the process. The beauty of Astaxanthin molecules is that their shape enables them to fit snugly into the brain cell membrane and cover its whole width. This is a vantage position for Astaxanthin to intercept all chemical agents that can end up damaging the brain cells. 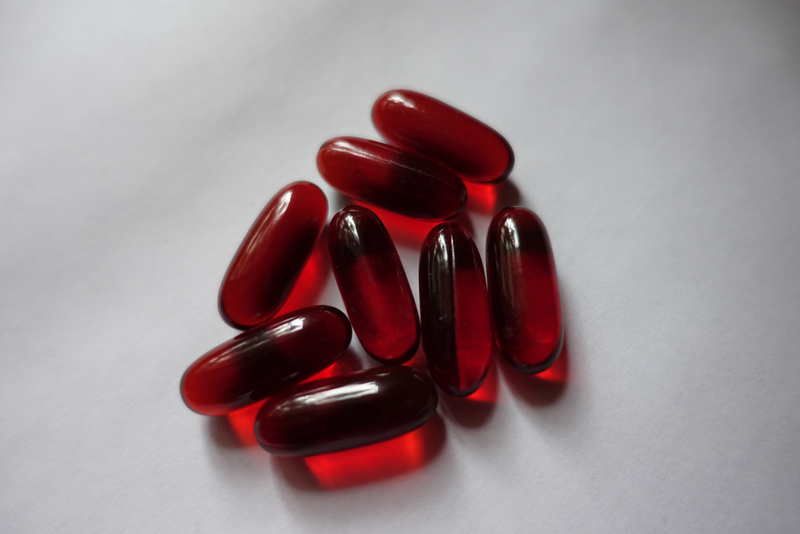 In fact, Astaxanthin is 100x a more effective antioxidant that high-end therapies like green tea, beta-carotene, and even Vitamin E.
High blood sugar stemming from diabetes can have an adverse effect on pancreatic β-cells (the cells responsible for producing insulin). That’s where Astaxanthin comes into play; it helps neutralize the oxidants, reduce sensitivity to insulin, and aid in the recovery of lymph cells. Not just that, but Astaxanthin has been known to help boost levels of good HDL cholesterol and adiponectin. This way, Astaxanthin helps keep cardiovascular disease at bay. UV damage can lead to cancer. Thankfully, Astaxanthin can help reduce collagen and thicken the skin, protecting against UV-induced damage. Astaxanthin relaxes blood vessels, improves blood flow, and modulates nitric oxide, all of which can help with high blood pressure. Astaxanthin has proven to be champ in the prevention of Alzheimer's disease, as well as other brain degenerative conditions like Parkinson’s. With no Alzheimer’s cure in sight, it’s crucial that you load up on Astaxanthin-heavy foods like wild caught salmon (contains 400x more than farmed salmon), shrimp, yeast, and other seafood.